Ed Boon has been pulling out all the stops in anticipation for the upcoming Injustice: Gods Among Us patch. 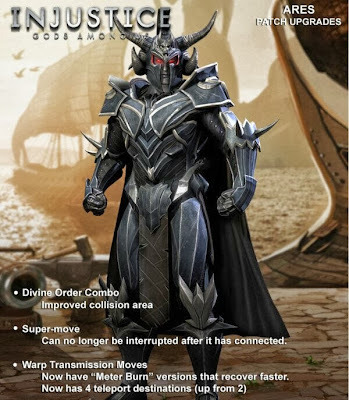 Above is an image revealing some changes coming to Ares. Twitter was the platform Ed Boon used to reveal some changes heading Ares' way with the upcoming Injustice: Gods Among Us patch. If past teases are any indication, we could be seeing a lot more sneak peeks soon.